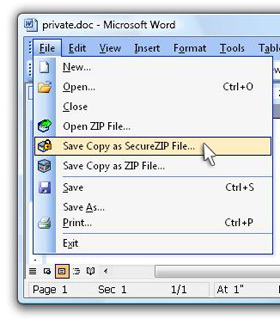 SecureZIP for Windows Desktop combines ZIP compression and strong encryption to deliver a data-centric security solution. It allows IT administrators to enforce security policies and ensure data availability to your organization. It helps address your daily data security challenges, including protecting sensitive data, meeting compliance requirements, and reducing overall costs and operational overhead.